Don't just leave that plain old propeller nut! 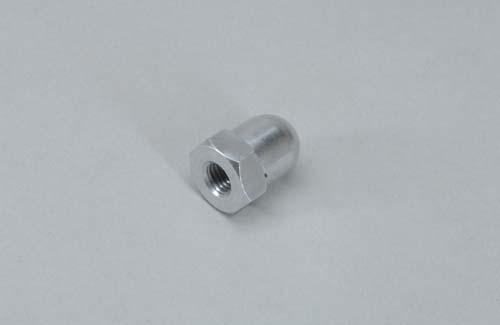 Treat your new pride and joy to a stylish aluminium Irvine spinner nut - looks great and much safer, too. 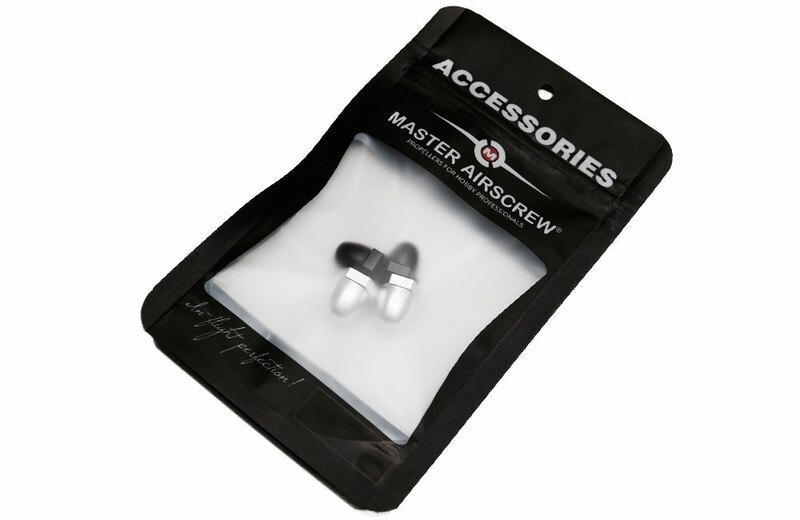 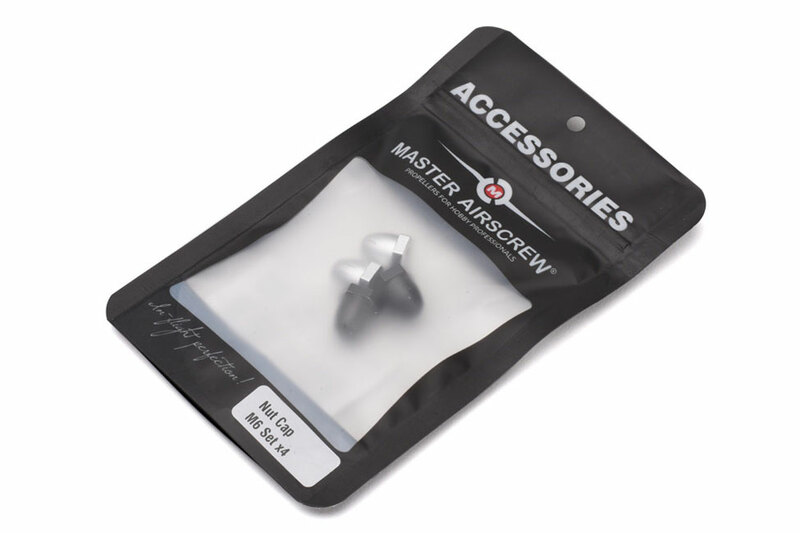 5/16"
These Master Airscrew lightweight M6 nut caps are self-tightening, anodized and machined from aluminum with a M6 thread. 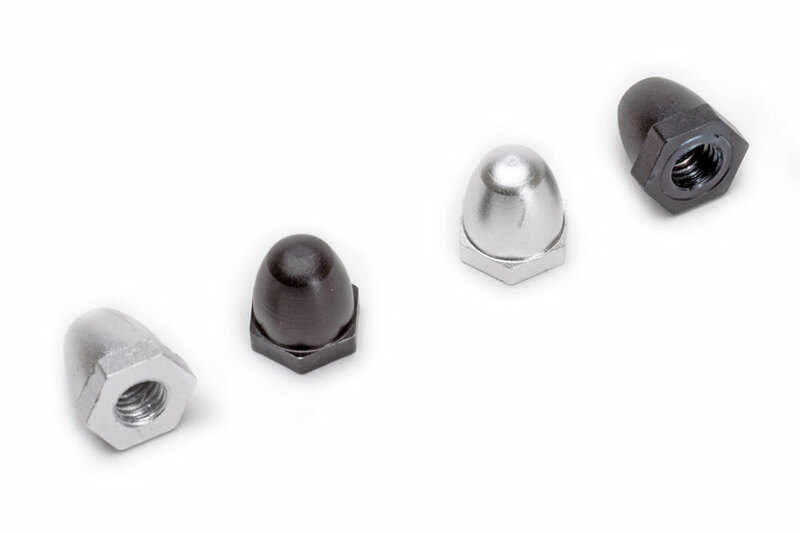 High quality caps intended for use with M6 threaded motor shafts.